Urth Skin Solutions for Men’s track record has been pretty good! So far I’ve tested their Face Scrub, their overnight treatment cream – Hydra Therapy and their daily moisturizer. All of these items have left me with an interest in trying out the next. 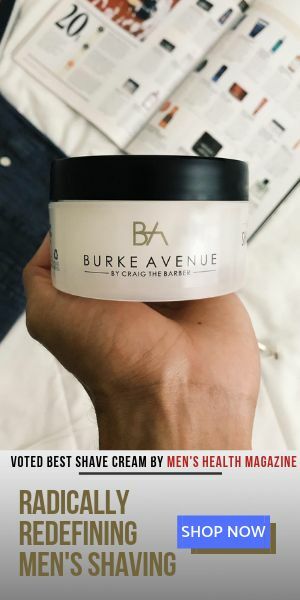 Enter their new formulation of their shave cream – Shave Formula by Urth. First off, it has a very enjoyable fragrance that was created with a blend of Lavender Oil, Menthol, Tea Tree Oil, Spearmint Oil and Bergamot Oil. These ingredients not only deliver a great “wake me up” fragrance, it also provides a subtle calming effect on the skin. 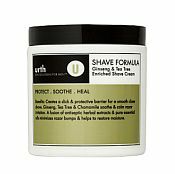 Going the extra mile, Urth also added skin healing ingredients like Chamomile, Ginseng, White Tea and Green Tea extracts, placing this shave cream in a small category of well thought out creams. Oh and here’s one other great aspect… It lathers! So for all you badger brush users out there, you’ve also been included, enjoy!